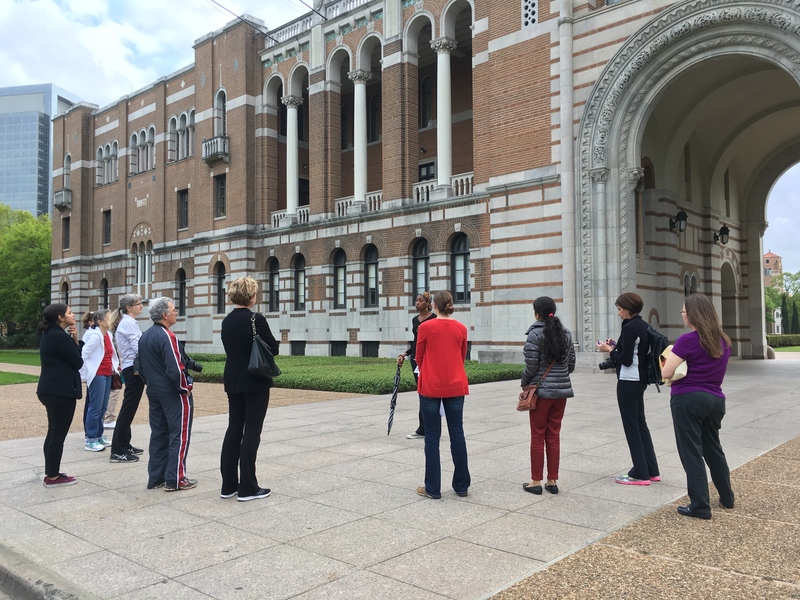 Tour meets on the front lawn of Lovett Hall, building 1 on the Rice University map, 6100 Main. Recommended parking in Rice University Visitor Lovett Parking Lovett Lot (LS or LN) or Founder's Court (FC) Visitor's Lot. Credit card is required to access parking.